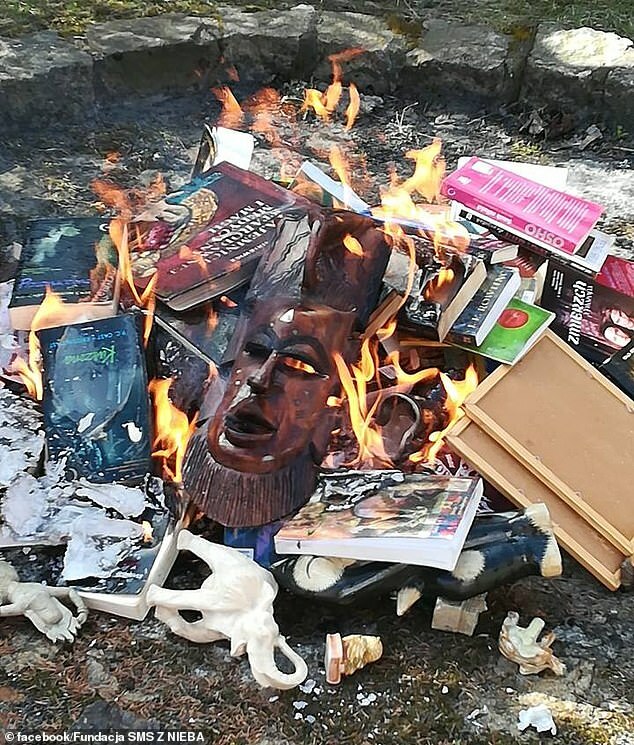 Catholic priests in Poland burned 'sacrilegious' books this weekend including books from the Harry Potter and Twilight series. Photographs posted on the page run by the Catholic 'SMS from Heaven' evangelical group show three priests carrying a basket of books and other items, including an African-styled face mask through a church to an outside fire pit. 'We obey the Word,' priests said in a Facebook post showing photographs of the public book burning and quoting Biblical passages from the book of Deuteronomy in the Old Testament. One passage exhorting believers to destroy the enemies of God includes the command to 'burn their idols in the fire'. 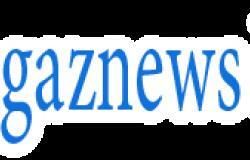 Father Jan Kucharski, the priest in the Gdansk parish where the book burning took place, told the natemat.pl news website on Monday that they had burned items 'linked to the occult and magic'.